The RX 350 is Lexus' flagship crossover-SUV, being one the best selling in their lineup of crossovers and the design basis for most others from the company. The 2018 Lexus RX 350 carries the same attention to quality of construction and details that has marked the crossover since its introduction. The 2018 Lexus RX 350 is family-sized, offers good value in luxury, and is now available with three rows for those who need them. There are some shortcomings to the RX, of course, but there is a reason that this crossover outsells most others in the field. High points for the RX include a best-in-class reliability expectation, a good mix of road confidence and comfort, and a good return on value. 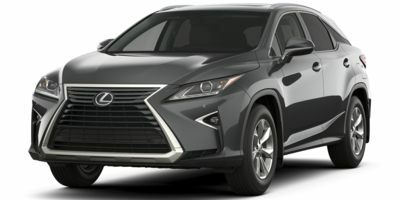 The RX is a midsize luxury crossover with two rows in the RX 350 rendition (seating for five) and three in the RX 350 L model (seating for seven). Both are identical in every way except for that third row addition and some vehicle length addition to accommodate in the L. There are two trim levels for the 2018 RX 350. The 2018 Lexus RX 350 is a good-looking crossover, but is competing in a market full of beauty on wheels. Upsides are the well-done sport-themed roofline, excellent showroom-grade bodywork design, and an unmistakable "this is a Lexus" appearance. Downsides are the huge, dominating grille and somewhat garish use of chrome. The latter point depends heavily on the body color chosen for the RX. The huge grille that has dominated the latest generation of Lexus vehicles is a sticking point for many and needlessly polarizes the RX (and others). It does create sharp angles and big edges, which are used to effect on the rest of the Lexus RX 350's fascia and carried through in the body design and rear of the crossover. Those angles and edges seem busy when described, but coalesce into a very notable and almost concept-car-like overall look for the RX. Add in the low greenhouse, sporty roof line, floating rear pillar design, and high ground clearance of the RX 350 and it's a great package overall. As with most Lexus vehicles, the interior of the 2018 RX 350 is where the focus lies. The Lexus RX has a roomy, luxurious, and very comfortable interior design. A few small things and some cargo limitations keep it from being perfect, but it's very good regardless. Quality materials and good workmanship mark most Lexus vehicles, including the 2018 RX 350. The driver and front passenger are treated to plenty of headroom, legroom, and adjustment options. The driver will find most controls are obvious and easy to use. The center console's layout is done well, with plenty of physical button and knob controls for most common needs (climate, audio, etc) to lessen infotainment use. Also good, as the infotainment is less than stellar (see below). In the back seats, the second row is comfortable and large enough that most adults will feel well accommodated in the outboard seating. The center seat is largely for kids, but a third adult can be squeezed in there with less cramp than in many midsize crossovers. Those who opt for the 350L with its third row will find that third row is largely for kids. It's great for that, though, bringing a good amount of room for most child safety seats and boosters. Access is also good with the second row folding forward (either side) in a 60:40 split at the pull of a lever. The seats then tilt forward and slide up, giving good access without requiring the removal of a child safety seat in the second-row seating. 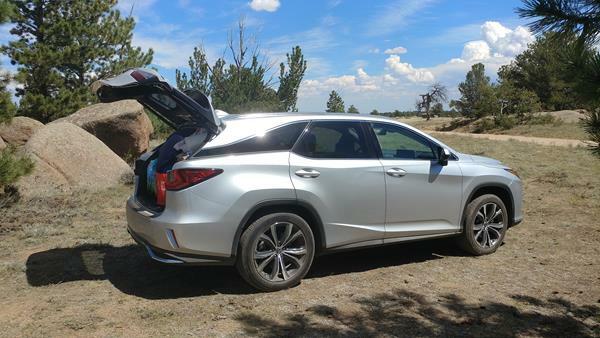 Cargo space in the 2018 Lexus RX 350 is not quite as good as hoped. The third row folds flat in the 350L for more room when needed, but the second row does not. It folds at an angle, making putting long items in awkward. The slope of the roof and tailgate make for less area in the rear as well. Floorspace is good, allowing plenty of groceries and most warehouse store purchases to fit. The rear glass opens independently of the hatch too, adding another nice bit of versatility. The 2018 Lexus RX 350 comes with an 8-inch infotainment display as standard, including USB ports and Bluetooth connectivity. The Enform infotainment interface is marred by the mouse-like controller ("Remote Touch") that pairs to a weird and jumpy 90's-era graphical interface. Upgrading to the navigation package with its huge 12.3-inch display bring more options like Facebook Places, iHeart Radio, and other Enform App suite additions. The Remote Touch controller remains, however, and generally makes using the infotainment a chore rather than a boon. The absence of useful (now standard) options like Android Auto or Apple CarPlay is another knock on the RX 350's infotainment. 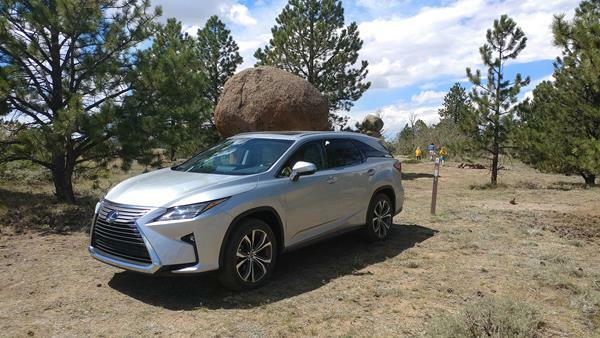 The 2018 RX 350 has good fuel economy for its class. The front-wheel drive model is rated at 20 mpg in the city and 27 mpg on the highway while the all-wheel drive option drops those a point each to 19/26 mpg city/highway. 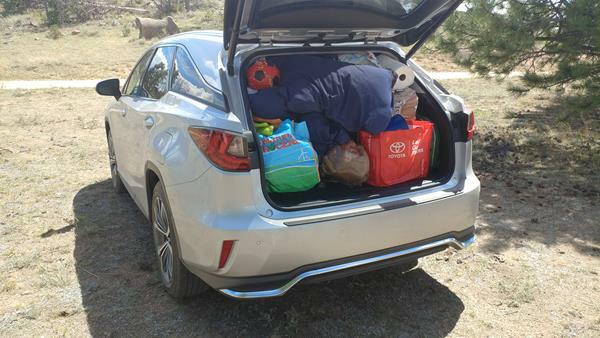 In the real world, our AWD model easily held 22 mpg as an average, not including some light off-roading we included for a family camping trip in the Lexus. The 2018 Lexus RX 350 is rated by the J.D. Power and Associates Vehicle Dependability Study as "Better Than Most" and the Lexus brand itself is the top-rated brand (of all vehicle brands) for reliability by Consumer Reports. These combine to give the RX 350 our best score for dependability. The National Highway Traffic Safety Administration (NHTSA) has rated the 2018 Lexus RX 350 with four stars overall (out of five) in crash testing. The RX received four stars each for frontal and rollover crash tests and five stars for side crash testing. The Insurance Institute for Highway Safety (IIHS) has rated the 2018 RX 350 with top scores of "Good" on all crash tests conducted and published. Several advanced safety options are standard on the 2018 RX, aiding its scoring here. The 2018 Lexus RX 350 isn't a race car or even sporty by most people's standards. It does drive well, though, with a good feel of the road and an optimal amount of luxury. Powering the RX is a 3.5-liter V6 that outputs 295 horsepower to an eight-speed automatic transmission. Front-wheel drive is the default and all-wheel drive is optional. Acceleration isn't swift, but it's not sluggish either. It's just about right for this luxury crossover. Under any load (or lack thereof), the 2018 RX drives nicely. It's comfortable, responsive enough to not be a dead fish, and feels confident in most situations. There is some body roll in the corners and steering is not as precise as some European rivals can give, but as a luxury-oriented machine, the RX is a good middle road between sporty discomfort and over-cushy luxury. The Lexus brand holds the highest resale values in the luxury marketplace and pricing for the 2018 RX 350 is balanced well with market norms. We like the AWD model, though those living where AWD is not needed could save a thousand or more by staying with FWD. The Premium package has the best mix of inclusions and value for the price paid. The F Sport also adds an excellent mix of comfort and convenience upgrades, but the seating change can make the RX 350 uncomfortable for some. Buyers should compare side-by-side at the dealer's lot before choosing one over the other. The 350 L is well worth the upgrade for family buyers who need more room. Whichever model is chosen, the 2018 Lexus RX 350 offers a solid mix of comfort, quality, standout looks, and luxury. Like most Lexus vehicles, it's one of the best overall value choices in its segment. There is no shortage of great options in the midsize luxury crossover segment. 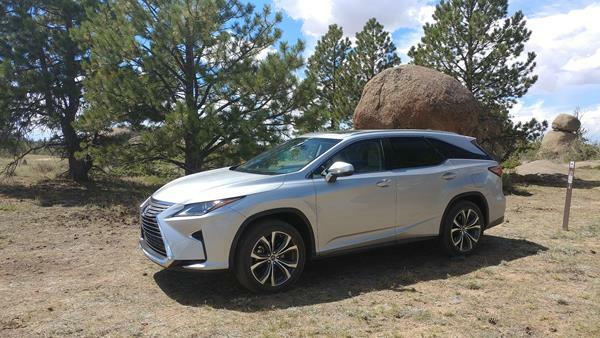 The 2018 Lexus RX 350 competes against the Porsche Cayenne, the BMW X5, the Audi Q7, the Acura MDX, and the Mercedes-Benz GLE-Class. Of those, the Audi and Acura are the closest to the Lexus in terms of daily usefulness and comfort over sport as a focus. The Acura offers more cargo versatility and the Audi offers better handling dynamics. The Porsche, Mercedes, and BMW are all built from the German focus on dynamics and sporty driving; especially the Cayenne. The Mercedes-Benz and BMW offer more cargo versatility, but less interior luxury than does the RX 350 while the Porsche has a similar amount of cargo and a more refined interior. The choice for the 2018 Lexus RX 350 comes down to expectation and needs. The value proposition for the RX is strong and its excellent interior draws a lot of votes. Most every other offering on the market has better infotainment and more useful cargo space. 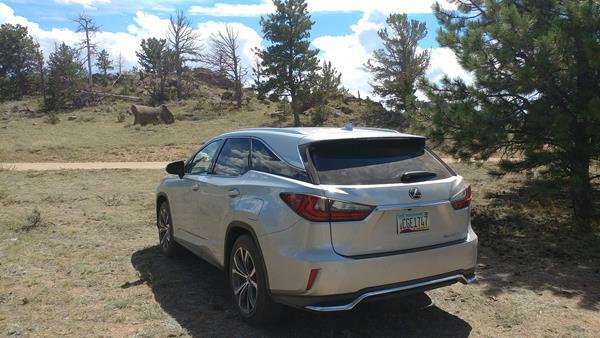 The more sedate, but still confident, drive quality of the Lexus RX is another upside for those not looking to throw dust on others' windshields. Interested to see how the 2018 Lexus RX 350 ranks against similar cars in terms of key attributes? Here are the 2018 Lexus RX 350 rankings for MPG, horsepower, torque, leg room, head room, shoulder room, hip room and so forth.